Magnesite is a mineral that is essentially composed of magnesium carbonate. It sometimes mixes with iron and sometimes manganese, cobalt or nickel. Jean-Claude Delamétherie called it magnesite in 1785, but this word was gathering several stones composed of magnesium. The German Dietrich Ludwig Gustav Karsten reduced the expression to the magnesium carbonate in 1808. This stone is also called argillomurite, baldissérite, bandisserite, giobertite, baudisserite, magnesianite, carbonate magnesium or roubschite. Its color varies according to the impurities that it gets. It can be colorless to a whitish grey, through yellow, brown, and slightly pink colors. It is often found with a marble effect. It can be easily dyed to make all types of beads and cabochons. Mines: Germany, Australia, Austria, Brazil, Spain, France. 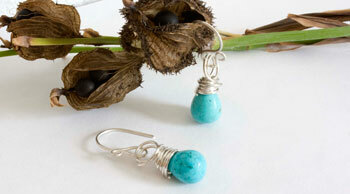 Magnesite would free the body of tensions and mainly of stress. It would be useful for intestine problems and more particularly about constipation. It would protect sensitive skins. Magnesite would have good results with fibroids. It would help absorbing magnesium. It would neutralize the body odors. 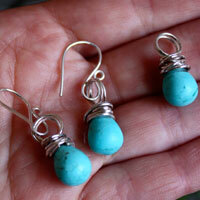 Magnesite would relieve headaches and more particularly migraines. It would help reducing fever. It would cure skeleton bones problems and teeth problems. Magnesite would present properties to fight against cholesterol.